Now, if this won't make you pull out money from your pockets then nothing would ever do. 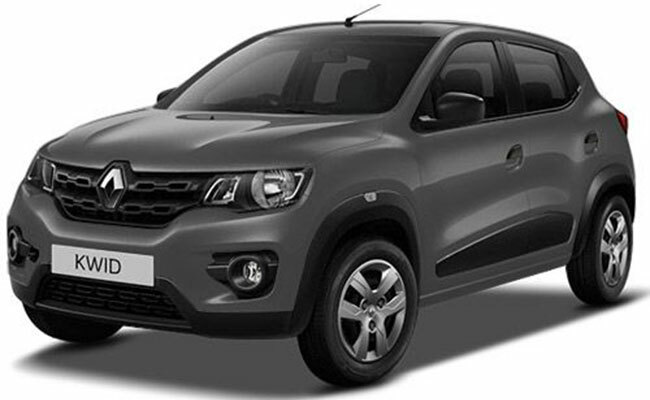 Sounds fictitious, but yes the Renault Kwid is the new cool these days with impressive eye-soothing looks along with a budget-amicable price tag. Keeping aside rest of the gross offerings that are crawling on present day roads, the entry level Kwid is not just a budget hatch with a decent design but also a performance oriented car, ideal for the Indian masses. We had this addiction of Maruti Suzuki for years as the nation's heroic car maker has undoubtedly rendered some interesting, yet worth offerings as per our needs. However, as time passes, cravings also multiply. Earlier when people wanted to satiate their demands , they opted for a higher segment as there was no practical solution. And that's when Renault's compact riding maniac came into the picture. With a host of features such as satellite navigation system, touchscreen infotainment unit, trip computer, etc, the automaker claims best-in-class mileage of 25.17 kmpl as well. In comparison with Datsun RediGo and Maruti Alto 800, Kwid earns extra features in terms of both, design and performance. Let me rest my words here and share a quick review of India's best entry level hatchback. 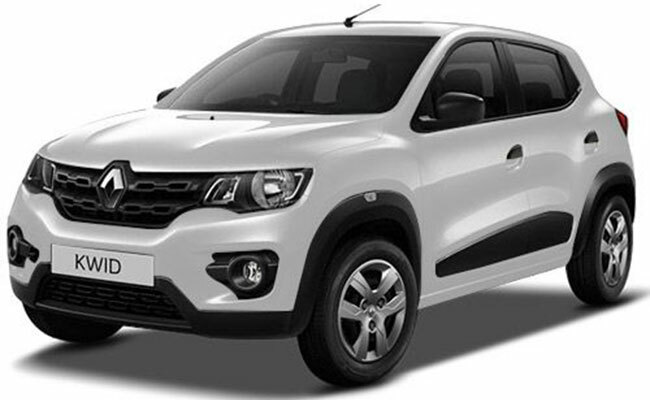 If we talk about the hatchback segment, the Renault Kwid has a figure which is second to none. However, it is not like we haven't seen a design like ever before, but somehow the design engineer has obtruded his boredom and desperation on the little Kwid. But the bodywork is really appreciating as there are several attention-grabbing stuff. Bigger and bolder headlamps are coupled to the indicators make a vicious appeal from the front. 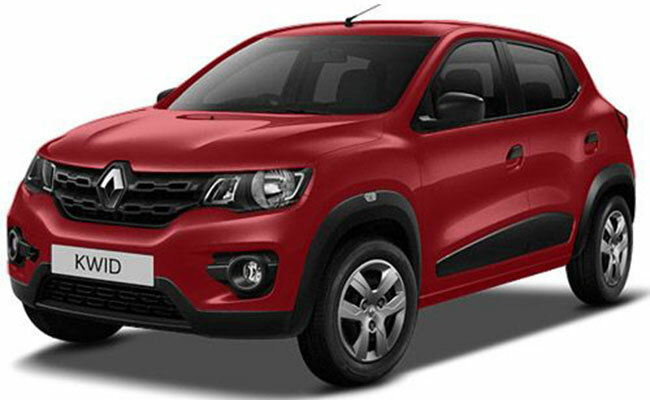 A large rhombus shaped Renault signature badge places itself amidst the bonnet and features the two-piece chain link grille attached to it on either side. Besides this, the sturdy haunches are sculpted on the sides. A protective plastic cladding outside the wheel arches gives it an aggressive touch. Moving ahead to the dimensions, the car is measured 3679mm long, 1579mm wide and 1478mm tall. In order to overpower the visual appeal than other hatchbacks in the sub compact segment, it has got a bulk of chunky black plastic here and there. Taking inspiration from an SUV design plus some innovative approach, it certainly makes a quick bond with both younkers as well as full-grown. As soon as you approach the rear section, you'll start getting the feeling of a hatchback as the rear profile is the only one, which appears like a hatch. In comparison to other usual offerings in the segment, the sculpted and giant rear portion flaunts a rejuvenating design. Inside the cabin, it's always compelling to see what innovative bits the dashboard is blessed with apart from the rest of the area. If we are to define it in the shortest way possible, it could be described as a simple, non cluttered unit providing an optimizing space else around. The dash rules the roost by the touch-screen center console unit, which we have seen in the Duster and Lodgy as well. All the media-oriented functions, telephony through Bluetooth and navigation are controlled by this touchscreen device. Air-con vents and dials surround the top and bottom respectively. While showcasing everything which is needed, we wonder why an imminent unit like tachometer is completely absent. 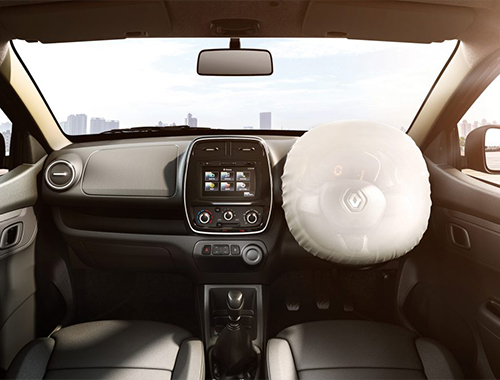 Moreover, a passenger side airbag won't be delivered by the Kwid, however, an option for a driver airbag is available. 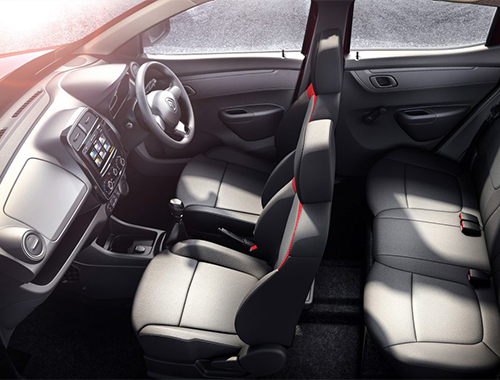 Talking about the seats, they are slimmer providing enough space inside the sub-compact. At the back, three grown-ups can easily fit themselves on the bench, though, not for long drives. So, we can say it is a convenient 2+2 seater. In terms of quality, the scenario is pretty reasonable, not too high, but not too low at the same time. Finishing is good. The quality of the plastics and other stuff used is impressive, which is worth for a compact car under INR 3 lakh. Keeping aside the designing aspects, it is the performance factor which is the most concerning element among the prospective buyers. Renault has fitted an all-new engine for its mini hatch from scratch. A 799cc motor provides heat to the car making a power of 54PS at 5,678 RPM and 74NM at 4,386 RPM. 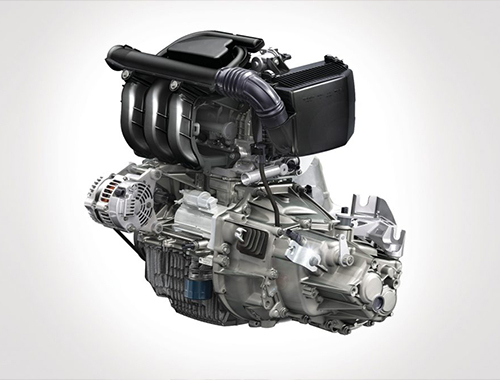 This petrol powertrain has got a dual overhead cam structure carrying a 4-valve per cylinder valve train paired up to a five-speed manual gearbox. Thanks to the use of lots and lots of plastic, the engine is very light-weighted, of course, the critical components are made up of aluminum. Acceleration performance figures are not being disclosed by the automaker, albeit the mileage claimed is 25.17 KMPL. 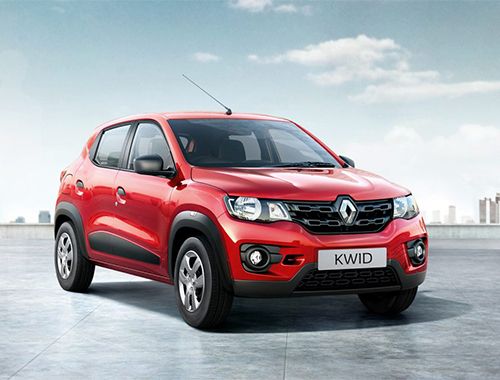 With a weight of 660 kg, the Renault Kwid holds a position of the lightest car in the segment. This has raised second thoughts in everyone's mind regarding the safety of the car. Though, Renault states that it satisfies all the Indian norms, which are required for the safety perspective. The airbag can be seen but only for the driver's side. Missing airbag at the passenger side dashboard segment is being covered by the stack of glove boxes. No ABS is there. As per the suspension set up, there are MacPheron struts at the front with a lower transverse link, which reduces the body roll, while the rear gets a twist beam with coil springs. When it comes to the ride quality, it is a few degrees less than the Duster, nevertheless, the security levels are more or less same. The steering is electric powered, nicely weighed and quite accurate. Braking is dominated by discs all around, instead of just the ones with drums up front while drums at the rear. Before resting my words, I would like to conclude the segment by highlighting Renault's impressive job, which it has done with the Kwid. The hatchback is truly a good value for money to the customers. With a host strengthening factors like the exterior styling, a great powertrain, good ride quality, secure ergonomics, etc, this is surely a car which you should definitely give a shot.